There are so many marketing channels out there to choose from, so how do you decide which one is best for you? One thing you should always be doing to generate new leads is email marketing. As a marketing tool, email can help you accomplish most of your business goals, which is why you should always keep it as part of your digital marketing strategy. Today, we’re talking about the benefits of using email marketing and how it can be used effectively. Let’s dig in! Email marketing is one of the most effective ways to seek and keep customers. On average, 80 percent of businesses report that email gets them the most new customers and retention than any other generation tool. With email, you can specifically target the people who have already expressed interest in your business by opting into your mailing list. Once they’ve opted in, you can encourage conversion by sharing information, sending special promotions, and demonstrating your unique selling points. Landing customers is the first step, now you need to keep them. To keep your business in the forefront of your customers’ minds, send regular emails. This will increase the chances of them buying from you again, especially if you’re conveying your brand values, sharing useful information, and content that’s not always sales-driven. Compared to direct mail and social media, email marketing has a higher conversion rate, which makes it one of the most cost-effective and easy to use marketing tools. Considering most of the tools out there do a lot of the building for you, there’s very little to lose but everything to gain. A lot of business owners have the misconception that all digital marketing is expensive, but that’s not the case. There are a lot of effective tools out there that cost very little, you just have to find and implement them! 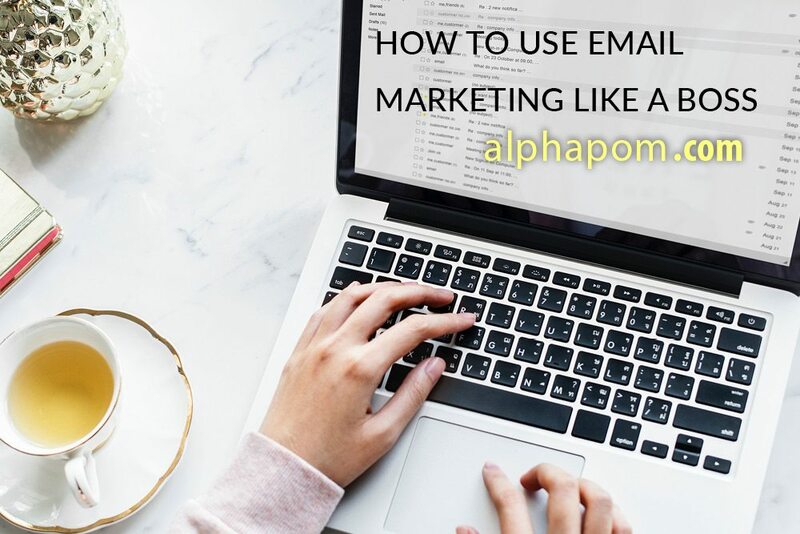 Most email marketing tools are free to use and easy to automate so you don’t have to spend hour after hour manually creating and sending out emails. With direct mail, you have to spend money on printing and mailing flyers, but with email marketing, there’s none of that! Remember, the people on your email marketing list have already expressed an interest in your business, so you don’t have to blow a huge portion of your advertising budget on email marketing. When you’re looking for email marketing tools, be sure to choose one that can be integrated with your existing customer database and CRM tools. Fortunately, a lot of the email tools on the market already do this, so your life is about to get a whole lot easier. Never underestimate the power of a personalized email. Take the time upfront to segment your mailing list so you can create custom-tailored emails to different customers’ needs. You’ll also be able to factor in their current stage of the buyer’s journey, age, gender, and location. Once you have emails that are speaking directly to them, watch the conversions happen! Alphapom is a digital marketing company based in Cedar Rapids, Iowa. We enjoy helping businesses just like you create comprehensive digital marketing strategies to enhance their SEO, social media management, blogging practices, website design, and more.